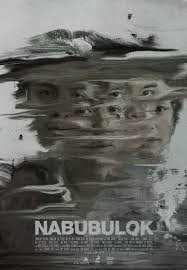 The title Nabubulok (The Decaying) can refer to several things in this Cinemalaya 2017 entry: the decaying smell emanating from the Harper house, the decaying of the house where they live, the decaying of relationships that are cracked anyway, the decaying of Philippine society. On the surface, the story revolves around a suspected crime: Luna Harper (Sue Prado) is missing and no one in his family is saying anything. The neighbors suspect her American husband Jason (Billy Ray Gallion) of killing her. However, there is no body--but the whispers and side glances persist.